Child Safeguarding: Level 3: the role holder will have contact with children and/or young people eitherfrequently (e.g. once a week or more) or intensively (e.g. four days in one month or more or overnight) because they work in country programs; or are visiting country programs; or because they are responsible for implementing the police checking/vetting process staff. The Campaigns and Communications Coordinator is responsible for designing, and delivering innovative campaigns strategies as well as communication products to support CO advocacy agenda, increase visibility and create a positive public image of Save the Children in Tanzania. The function will collaborate with others in the organization to achieve brand consistency in line with organizational policy standards and donor requirements. The Campaigns and Communication Coordinator will also be responsible for managing, and updating social media platforms and website, ensuring quality, accuracy of information and inline with the organizational policies and procedures. • Lead the designing and implementation of Every Last Child campaign activities taking advantage of key moments to deliver on the CO campaign objectives. • Build and maintain effective, collaborative strategic relationships with Save the Children’s campaigns team, including those in the Regional Office, and programme teams, ensuring consistent and high quality outputs. • Identify and lead innovative campaign partnerships and coalitions, building and managing strategic relationships to achieve greater impact for our work. • Support the development, positioning, presentation and content of case studies, photos, messaging, fact sheets and multimedia for Save the Children’s key public audience. 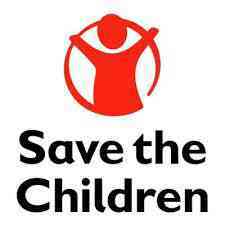 • Responsible all documents published, and all communication disseminated are in line with the Save the Children global brand policy as well as donor guidance. • Produce other external targeted products on an ad hoc basis as necessary and requested by the supervisor. • Manage social media platforms and website to ensure regular updating of quality materials and consistency inline with SC policies and procedures. Would be required to collaborate with teams to ensure accuracy of information on responding to public opinions. • Lead and support the program team in preparing communication products project briefs, report highlights, operational highlights etc. for the country office and field offices as requested. • Provide leadership to content and layout of creative promotional materials such as leaflets, fact sheets, info graphics, creative audio visual information, brochures and other communications materials. • Responsible for consistent and effective flow of information of relevance to Save the Children’s activities, keeping relevant teams up to date on all developments internally and externally. • Responsible for country office staff in monitoring external information sources (news sources, products, partner products etc.) relevant to Save the Children’s work in Tanzania, synthesize and share relevant briefs as appropriate. • Innovation and Adaption (skilled level)Able to list processes and procedures in work unit/ department that could be improved. • Capture learning after completing tasks or activity and identify ways it could have been done differently. Able to engage teams and open to suggestions about how to improve ways of doing things. • Strong understanding of approaches for communicating information to a wide range of audiences. • Ability to multi task, work under pressure and to meet tight deadlines, responsive to external requests and strong team player. • Excellent communication skills with excellent command of the English language. Knowledge of written and spoken Kiswahili is desirable. • Ability to review and edit reports and products (in English) for dissemination and publications.